I should probably start this post off by admitting: I am a proud Canadian girl. But when I saw this dress walking through the store I couldn’t leave it there because I knew it would be coming home with me: and so I was inspired to dress in vintage fashion for the 4th of July. 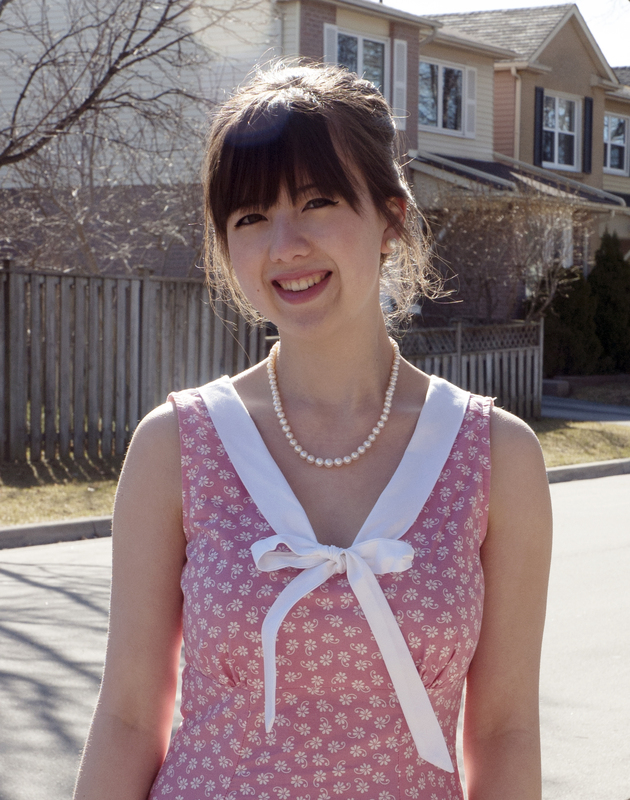 This dress is vintage inspired, but to be more true to its 1950s design it would probably have some crinoline underneath the skirt to puff it out a bit and it might be a bit longer in length (past the knee). It was just $30 at Sears and the last one on the rack (in my size! ), a lucky find! My shoes are from Le Chateau and the headband is from Claire’s. For my hair I did a variation on a beehive. My hair is not good at being teased for volume, so I did the best that I could with backcombing and then folded it under itself to push it up even higher. I left some hair down on either side of my face and braided it around the beehive for some extra detail. Then I finished with the red headband for some extra colour. My lipstick is by Tarte and it is made with clay for long-lasting wear. This shade is “Wild” and I am in love with it! It always stays in place, even after eating or drinking. I would definitely recommend it to everyone! I wish all of my American friends a very happy 4th of July!